Blackbeard's Seafood Island Bacolod is most famous for their boodle fights. 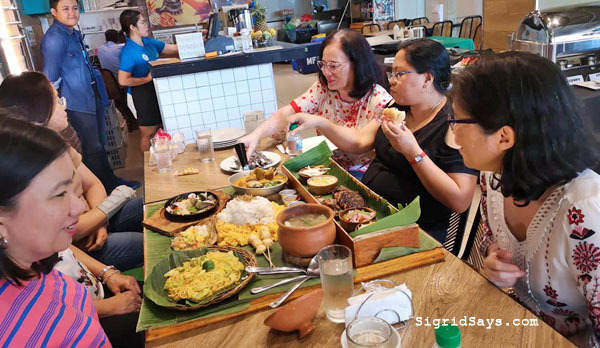 Blackbeard’s Seafood Island Bacolod is synonymous with two things — Pinoy seafood dishes and boodle fight! 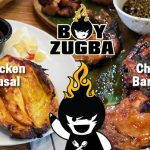 You can enjoy it with the whole family and the gang all day at their Bacolod branch, located on the second floor of Ayala Malls Capitol Center! One of the big boodle fight meals at Blackbeard’s Seafood Island Bacolod. Pinoys love seafood and our own style of cooking. And Blackbeard’s Seafood Island Bacolod understands that. 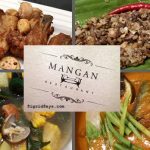 But more than just regular seafood dishes, they have elevated our usual dining pleasure using our hands with well-thought out boodle fight meals. 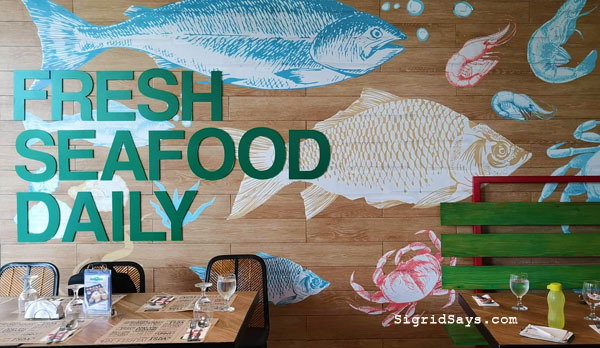 Yes, there’s fresh seafood daily from Blackbeard’s Seafood Island. 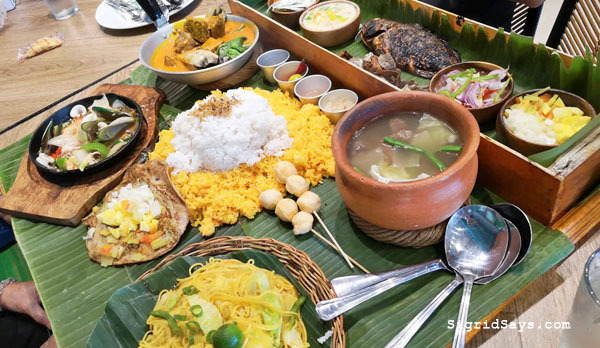 Boodle fight meals are those shared meals placed on banana leaves. The rice is heaped in the middle and the different grilled meats and seafood are arranged on the side. These ladies enjoyed a boodle fight lunch. In barangays, the people would sit around the table facing the meal and then they would dig in using their hands. Plates are usually omitted. It may not appear sanitary, but it’s fun. And it’s the Filipino way of reinforcing camaraderie. This big boodle fight meal is heavy to carry even for this big guy! 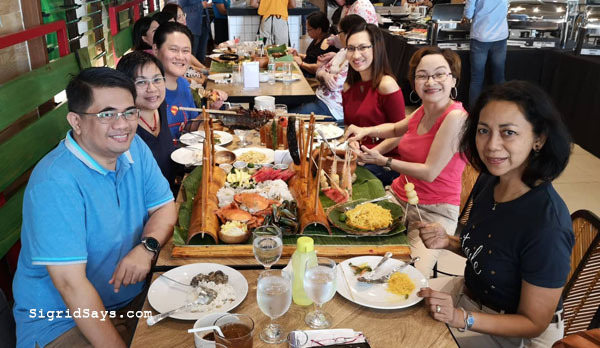 Meanwhile, the boodle fight meals at Blackbeard’s Seafood Island Bacolod are different. What sets them apart is that they were designed based on the provinces of the Philippines. 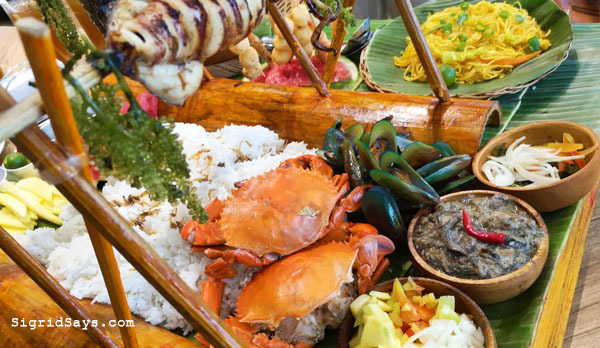 Each boodle fight meal is named after a particular province and features the most popular seafood in that area. Another boodle fight creation with a different theme. The prices differ, depending on the number of meats included. For each kind, you have a choice between a small or a big set. 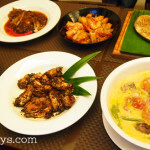 We Bacolodnons like our pala-pala style of seafood presentation. We choose the freshest seafood in the market and then we ask the eatery to prepare it in the way we like. But now, we can have that in the comforts of an air conditioned restaurant at Blackbeard’s Seafood Island. 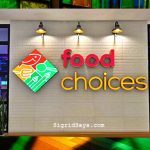 You can choose your favorite fresh seafood from their aquariums and then they will prepare these according to your taste. 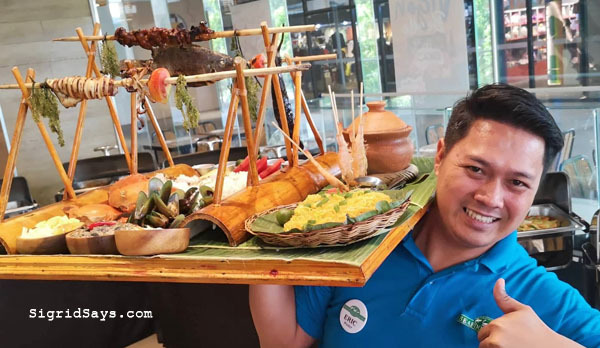 If you don’t want the boodle fight or the paluto, Blackbeard’s Seafood Island Bacolod has an eat all you can buffet of Pinoy dishes. There are about 15 dishes from appetizers to dessert. 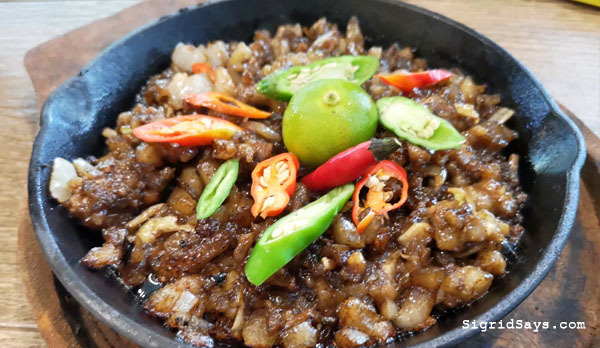 Plus, there’s unli sizzling pork sisig and pad thai. Pretty good. The eat all you can buffet. You can see the still empty aquariums at the back. 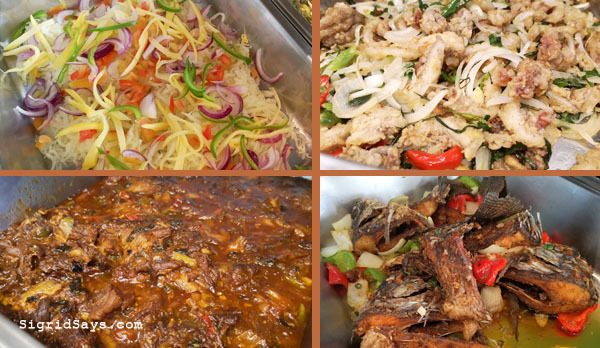 Some of the dishes at the eat all you can buffet. 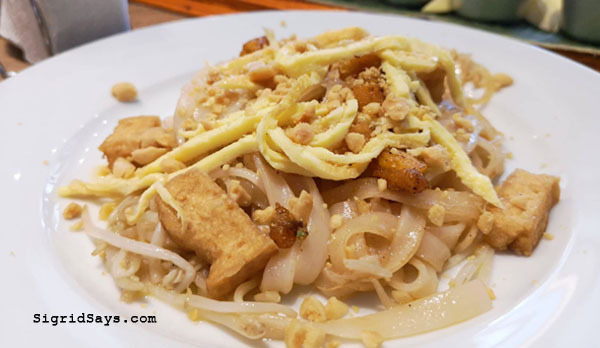 Pad thai is part of the eat all you can buffet. 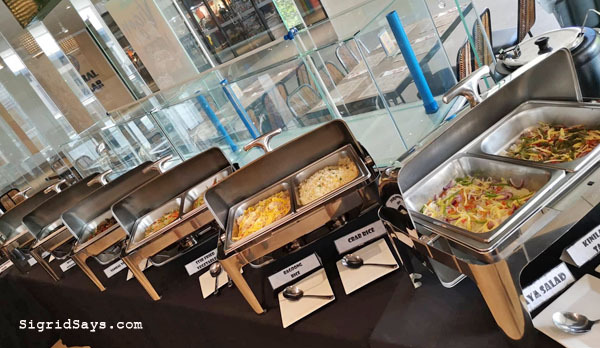 The buffet is open from 11am to 1:30pm for lunch and 5:30pm till 9pm for dinner. 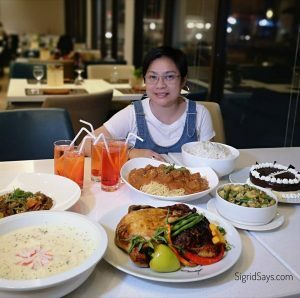 But Blackbeard’s Seafood Island Bacolod is open during mall hours, from 10am to 9pm. Bacolod bloggers for Blackbeard’s Seafood Island Bacolod, located at the veranda area, 2nd floor of Ayala Malls Capitol Central.